It’s one of the most anticipated events of the season! The MTV VMAs will take place on Monday, August 20th at Radio City Music Hall in New York. Whether spectacular or controversial, there’s always something big happening at these awards, and hearing about it the next morning just isn’t the same. Thankfully, whether you’re at home or abroad, you don’t have to miss out, as it’s possible to watch all the action live, online, and for free. In this post, we’ll explain how you can use a Virtual Private Network (VPN) to watch the MTV VMAs from the US, Canada, the UK, Australia, Thailand, France, Germany, and anywhere else in the world. MTV’s parent company, Viacom, will be airing the VMAs on MTV, and other channels in its network. While TV channels might show the awards, MTV live streams are limited to viewers in certain regions. However, by using a VPN to spoof your location, you can bypass the geo-restrictions and watch from any country. A VPN will not only grant you access to this and other popular streaming sites, it will also encrypt your traffic and protect it from prying eyes. We’ll discuss where you can stream the awards in more detail below, but chances are you’ll need to spoof your location to access a live stream. Even if you’re in the US, using a VPN is a good idea from a security standpoint. 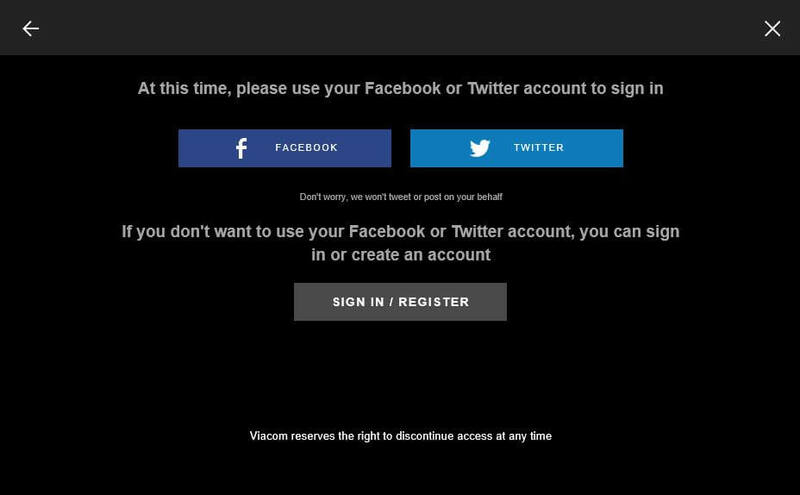 Here’s how to watch the MTV VMAs using a VPN. Choose a top-rated provider from the list below (we recommend ExpressVPN) and sign up with your choice of payment method. Record your new username and password to use to log into the app. Download the desktop client or mobile app for your particular device. Once launched, enter your credentials. Navigate to the server options and choose one located in the source region. For example, you’d choose a US server to watch the US (MTV.com) live stream. Find the MTV VMAs live stream (more details towards the end of this post), sit back, and enjoy! Hopefully, it will be as easy as it sounds, but issues can always crop up. As such, a test run well before the show starts is a good idea. The MTV VMAs will, of course, be broadcast on MTV. For the past couple of years, parent company Viacom has shown the awards across as many as seven of its channels, including MTV2, VH1, MTV Classic, and even Comedy Central. Indeed, it has finally been announced that the same will be happening this year. For online viewing, it will be streamed through MTV.com, as well as through the live TV players of other Viacom sites. But other local versions of the sites (such as MTV.ca and MTV.au) don’t offer a live stream function. You can also access the VMAs on MTV via an over-the-top service such as Sling TV or DirecTV. If you live or are traveling abroad while the awards are being aired, you can simply use a VPN to spoof your location and access a US stream. The choice of VPNs available is overwhelming at best. We’ve helped you whittle down your options. ExpressVPN makes it to the top of our list as the best VPN for streaming the MTV VMAs for a number of reasons. Not only is it fast and reliable, it is known for its ability to unblock online streaming services. Aside from MTV, you can watch Netflix, BBC iPlayer, Hulu, HBO, Amazon Prime Video, and more. All ExpressVPN servers are optimized for speed and will allow a seamless viewing experience. With more than 2,000 servers in 94 countries, you have plenty to choose from. If you have any issues with the service, you can simply ping the 24/7 live chat team for a helping hand. You’ll be able to rest easy with the knowledge that ExpressVPN keeps your information secure with 256-bit encryption and perfect forward secrecy. A built-in kill and DNS leak protection add a couple of extra layers of protection. ExpressVPN logs some metadata but will never retain any personally identifiable information, including your IP address. ExpressVPN is super simple to set up and you can download apps for Windows, Linux, MacOS, Android, and iOS, or manually configure the VPN with select routers. You can connect three devices simultaneously with each subscription. BEST VPN FOR THE MTV VMAs:ExpressVPN is our first choice. Leads the way with its easy to use no-fuss apps. It has a vast server network that is optimized for high-speed connections. Hard to beat on privacy and security. Works with all major streaming services. There is a 30-day no-quibbles money-back guarantee so you can try it risk-free. Check out our full review of ExpressVPN. NordVPN offers an excellent service while managing a network of more than 4,500 servers. It can help you unblock a ton of popular streaming services, including Netflix, Amazon Prime Video, Hulu, and BBC iPlayer. Servers are optimized for various tasks, including HD streaming, double VPN, and Tor over VPN. Encryption is strong (256-bit) and comes with perfect forward secrecy. Automatic wifi protection is a nice perk if you’re traveling or on-the go, and everyone can benefit from a kill switch and DNS leak protection. A strict no-logs policy means this VPN service is as private as they come. Apps are available for Windows, MacOS, iOS, and Android. Configuration with Linux and some routers is possible. You’ll be able to connect up to six devices on just one plan. BEST BUDGET VPN:NordVPN offers great value. Works tirelessly at unblocking streaming sites with restricted access. Connects up to 6 devices simultaneously. Top notch privacy and security features. 30-day money back guarantee. Delve into our in-depth report on NordVPN. Once hiding in the shadows, CyberGhost keeps on improving its service and is now one of the best VPNs available. Its network of more than 2,500 servers enables users to unblock various streaming services including Netflix, Amazon Prime Video, BBC iPlayer, and lots more. Many of these are easily accessible via the desktop client’s “Streaming Mode,” which automatically connects you with an appropriate server for your channel choice. CyberGhost doesn’t disappoint on the security and privacy front with a no-logs policy, 256-bit encryption, perfect forward secrecy, a kill switch, and DNS leak protection. You can also set wifi protection to kick in automatically for any network you’ve used before. Up to seven devices can be connected at a time and apps are available for Windows, MacOS, iOS, and Android. Linux setup and router configuration are possible. BEGINNERS' CHOICE:CyberGhost has a simple set up. A budget choice. Good on privacy. Streams HD video reliably. Hit and miss connections with some popular streaming sites. 45-day money back guarantee. Find out more about CyberGhost in our review. IPVanish operates a server network of more than 1,000 servers in over 60 countries. You’ll have no issues unblocking MTV as well as other popular streaming sites such as Hulu and BBC iPlayer. This provider consistently pegs fast speeds in our testing, one of the reasons it’s so popular with torrenters. Other fans of IPVanish include Kodi users, mainly due to its Android APK and remote control-friendliness. Privacy is a major focus for this provider and it records no logs of user activity or connections. It boasts 256-bit encryption with perfect forward secrecy, along with a built-in kill switch and DNS leak protection. IPVanish has recently increased its number of connections to 10 devices per account, easily enough to cover an entire household. Apps can be downloaded for Windows, MacOS, Android, and iOS. The VPN can be configured with Linux and some routers. LARGE SERVER NETWORK:IPVanish works with up to 10 connected devices. Fast connections, lightweight easy to use apps, good multi-platform support. Genrally reliable but can’t unblock as many streaming services as some of its rivals. 7-day money-back guarantee. Check out our in-depth IPVanish review. PrivateVPN might be a name you’ve never heard of, but that shouldn’t be a turn-off. This small provider continues to exceed expectations and deliver a fast, reliable service. It unblocks a range of services, including Netflix, BBC iPlayer, Hulu, and Amazon Prime Video. Although PrivateVPN has a small number of servers, you still shouldn’t have any issue finding one to help you stream the VMAs. This provider keeps a strict no-logs policy and your information is kept safe inside the encrypted tunnel with DNS leak protection and a kill switch. Encryption is 256-bit and comes with perfect forward secrecy. PrivateVPN allows up to six simultaneous connections. Desktop clients are offered for Windows and MacOS, and mobile apps for iOS and Android. Linux devices and certain routers can be configured too. GREAT SPEEDS:PrivateVPN is fast and secure. Allows up to 6 devices on the same account. Fast connections but could do with having more servers to chose from. 30-day money back guarantee. MTV is part of the Viacom network, and like last year, the MTV VMAs will be broadcast on multiple Viacom channels, including MTV, MTV2, VH1, MTV Classic, BET, CMT, Comedy Central, Logo TV, Spike & TV Land. This doesn’t just apply to the US, and the VMAs will be shown on TV in other countries where MTV has its own dedicated channel, including the UK, Canada, Australia, France, Germany, and many more. However, when it comes to online content, MTV live streams (and those of other Viacom channels) are typically only available to users located in the US. 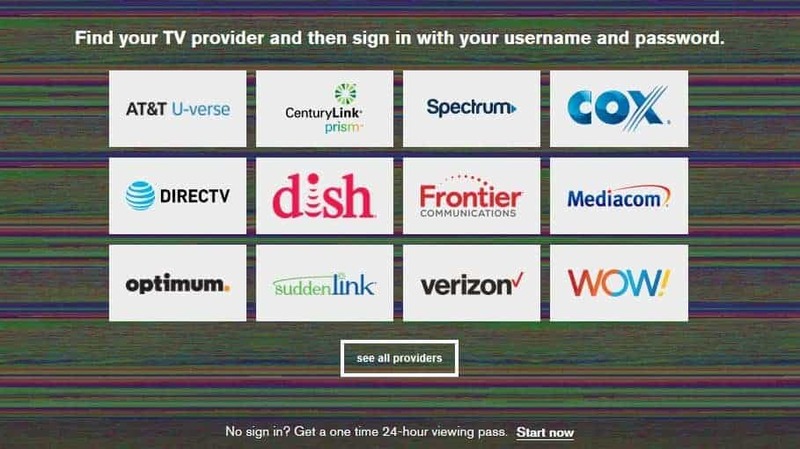 What’s more, to access the live stream, you need to enter credentials for a US TV service provider, such as AT&T, Spectrum, or DirecTV. If you have such a subscription but are traveling outside the US when the award show airs, you can simply use a VPN to spoof your location (using the steps above). If you’re looking to watch via the MTV mobile app, the same applies: you’ll need to sign in using cable credentials and you can use a VPN to change your location if abroad. If you don’t have a US TV service provider subscription, there is one more option. MTV offers a free 24-hour trial which gives you the perfect window to watch the VMAs. You can sign up through a social login or by providing an email address. All you need to do is connect to a US VPN server and you should be able to watch trouble-free. Some streaming services do postpone their free trial periods for big events, but we’re hoping that won’t be the case here. Who’s up for nomination for the 2018 MTV VMAs? Image credit: “Katy Perry at MTV Video Music Awards 2011” by Phillip Neilson licensed under CC BY 2.0.